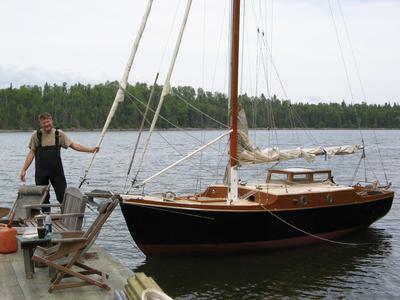 1950 Deben 4 tonner, made in Portsmouth England, now on Lake Superior in Ontario. Deben 4 tonners were built in Woodbridge. I am on superior also. 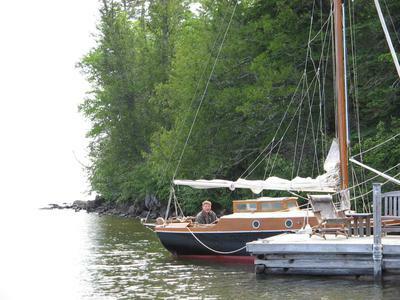 It looks like you have a raised deck (full width) from the foto, so do I but my yacht is of 1966 vintage & made of GRP. I sail out of Duluth now, well not now , as it is frozen, but lately , eh? How did she get to Canada ? Sailed over the pond?